The Canadore College Foundation received its lead capital campaign gift for The Village earlier today. David Ding and Sapna Thakur from Toronto, Ont. donated $1 million to the unique health and wellness centre, which is currently under development at Canadore’s College Drive location. The Village’s model of care which focuses on the integration of Indigenous, Eastern and Western healing and wellness practices automatically appealed to Ding and Thakur seeing as it aligned so closely with their own beliefs. Specifically, the ways in which traditional Chinese medicine and Ayurvedic healing principles can complement conventional medicine to lay a framework for improved patient care is important to the donors. The first gift to the capital campaign will be recognized by the College through the creation of a healing garden, grounds development and landscaping, that promote whole self-healing, a common principle entrenched in Indigenous, Eastern and Ayurvedic wellness traditions and practices. To further reflect the importance of balancing the mind, body and spirit, an Indigenous medicine walk, gardens filled will traditional healing vegetation and a central harvesting and gathering area will also be central to The Village’s outdoor environment. The Village’s construction and technology is valued at $20 million in total. 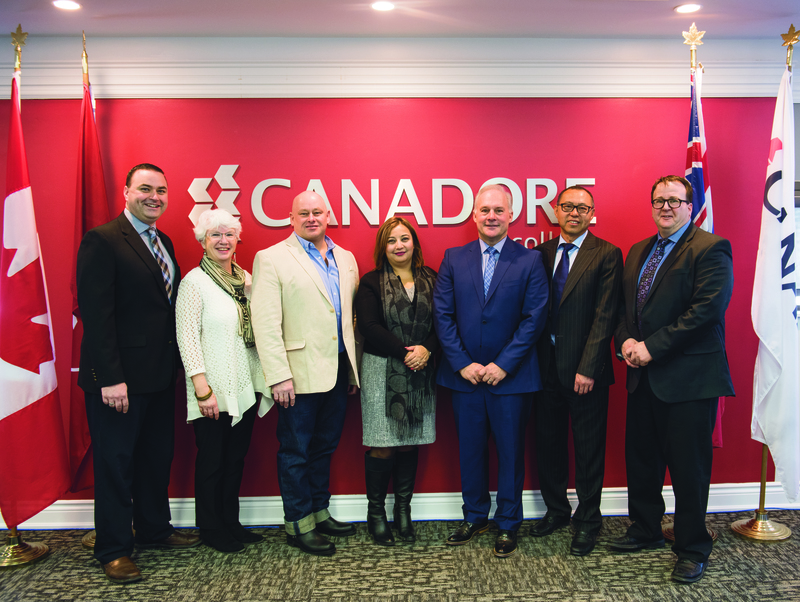 Canadore received $5.63 million from the federal government, over $800,000 from the province and its overall fundraising campaign goal is $5 million from non-government sources. Today’s event marks the first of many gift announcements, which will continue to be made in the coming months. To learn more about The Village and how to make a donation, contact the Canadore Foundation by contacting Brad Gavan at 705.840.3473 or brad.gavan@canadorecollege.ca.